I had a lot of thoughts when we decided it was time to leave New York City, and one of them was: “But what am I going to do without my favorite salad? 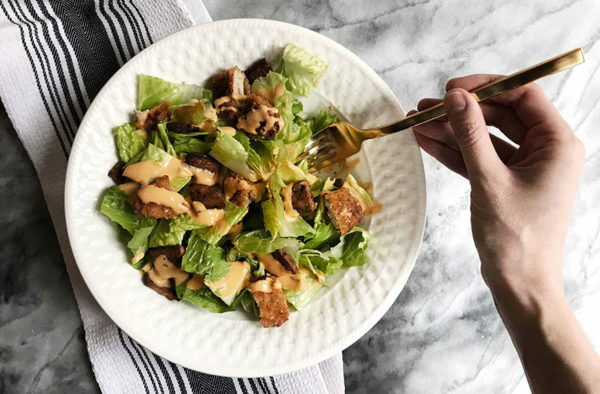 !” The second I first had Peacefood’s Spicy Unchicken Caesar Salad, I knew it was love. And that’s exactly why I made it my mission to create my own version I could eat anytime, anywhere. Alright, let’s rewind for a sec. Before going vegan, I only ate Caesar salads because they were honestly the only kind of salad that tasted good to me. Yep, a true Midwesterner at heart. Getting that taste again—but honestly, an even better version—was kind of a dream come true. For one, it’s spicy. 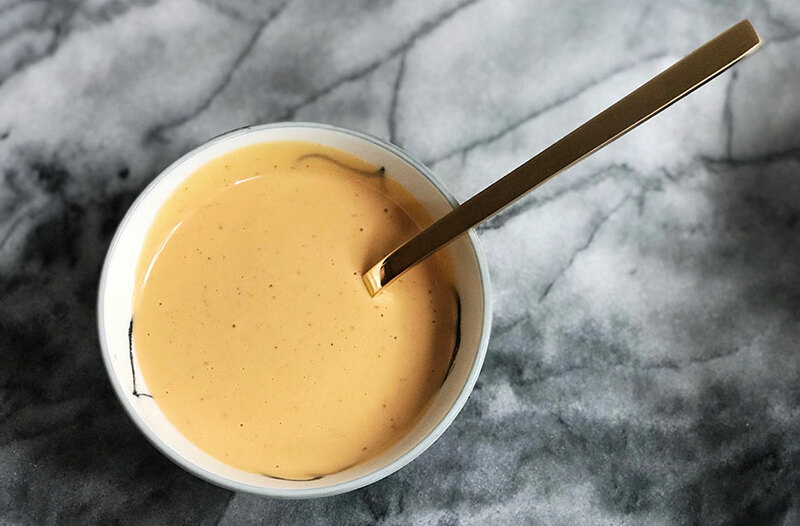 It’s also super creamy, flavorful, and is better for you than conventional store-bought Caesar dressings. It’s a win-win…win, win, win. So, what’s all involved in making this salad? 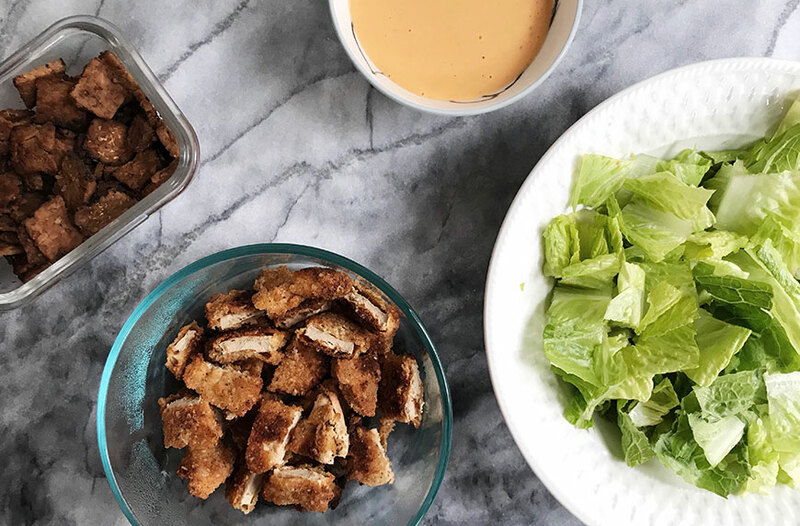 Well, Peacefood’s version includes crisp romaine lettuce, their famous homemade unchicken tenders, tempeh, red onion, croutons, and tomatoes. For this version, I decided to keep things simple and create a base you can play with a bit. 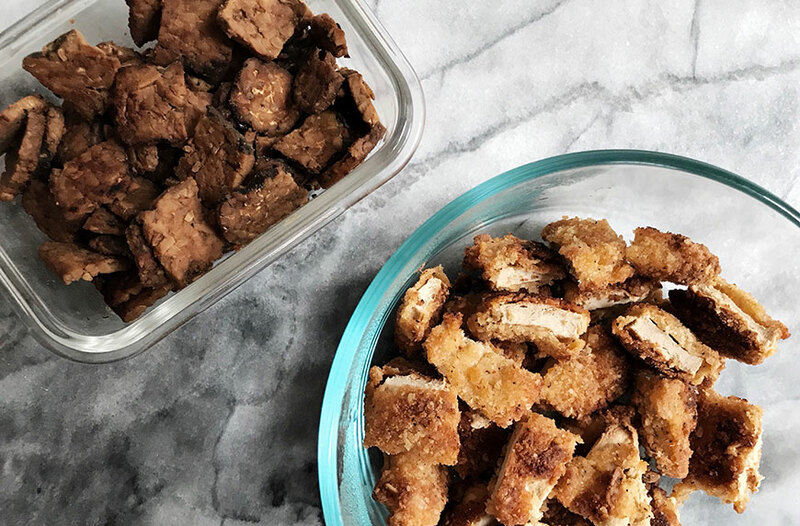 I try not to eat processed vegan food too often, but I wanted this recipe to have the full effect so I included two of my favorite vegan goodies that are generally super easy to find: Gardein’s Seven Grain Crispy Tenders and Lightlife Organic Fakin’ Bacon Tempeh Strips. If those brands aren’t available, don’t worry—any similar products will work. For when you want to be extra healthy, though, use some regular tempeh and baked tofu instead. 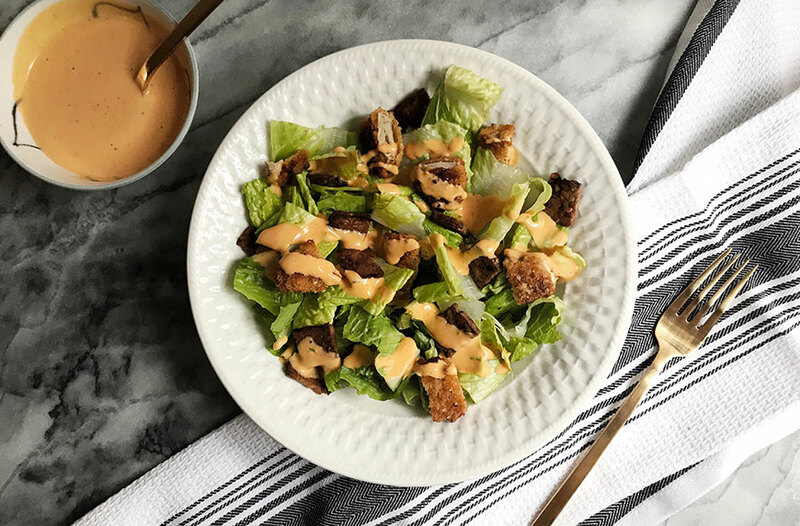 For the dressing, I remembered someone once told me vegan mayo makes a great base for Caesars, so I went with it and ended up with a version that I actually might like more than the original. Yeah, seriously. There’s just something about it: It’s fresh, has the perfect amount of heat, and adds so much flavor to a bowl of leaves. This recipe is great on its own or with other veggies added in. And, good news: The dressing stays nice and fresh in the fridge. I usually keep it in a mason jar and give it a quick shake before I use it. It typically lasts for about 5 meals, or 5 days. Ready to eat? Check out the recipe below. And if you try it out, tag me in your pictures on Instagram: @tehrene. I’d love to see what you think! This spicy Caesar is creamy, filling, and brings the perfect amount of heat. Add all dressing ingredients into a blender and blend until smooth. 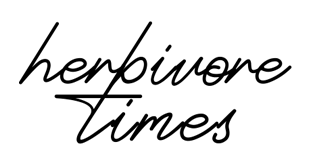 Put in the refrigerator in an airtight container, like a mason jar, and make sure it's cold before using it. Or, stick it in the freezer for 10 minutes or so to chill it quickly for immediate use. Make the "chicken" tenders and tempeh according to directions. I prefer baking the tenders in the oven so they're extra crispy. I also always cut the tempeh up into small pieces, like shown in the picture above, before cooking: Just put them in a pan and sauté. Chop your romaine and toss in extra veggies, if you want them. Add the chicken tenders and tempeh on top. Drizzle on your chilled dressing and eat up!